Place the beans in your food processor and pulse. 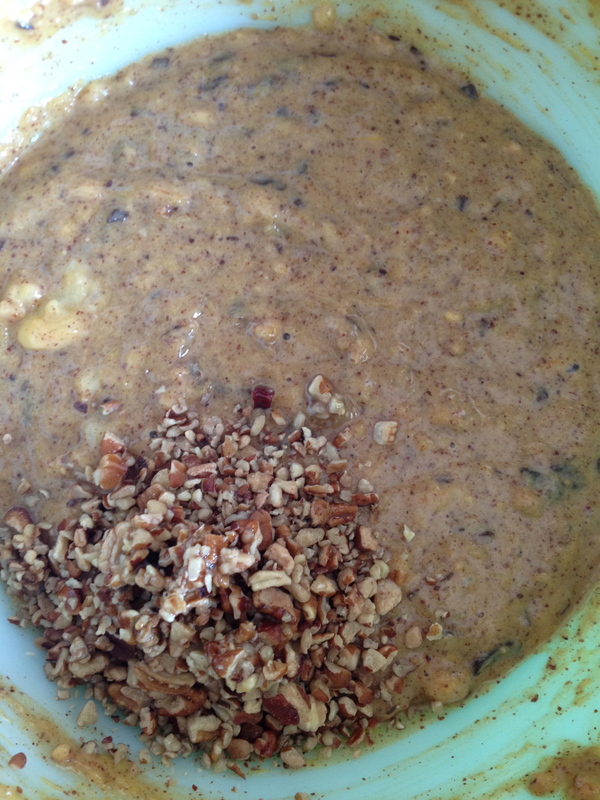 Add everything else to the food processor, except for the walnuts, and mix well. Fold in the walnuts last. 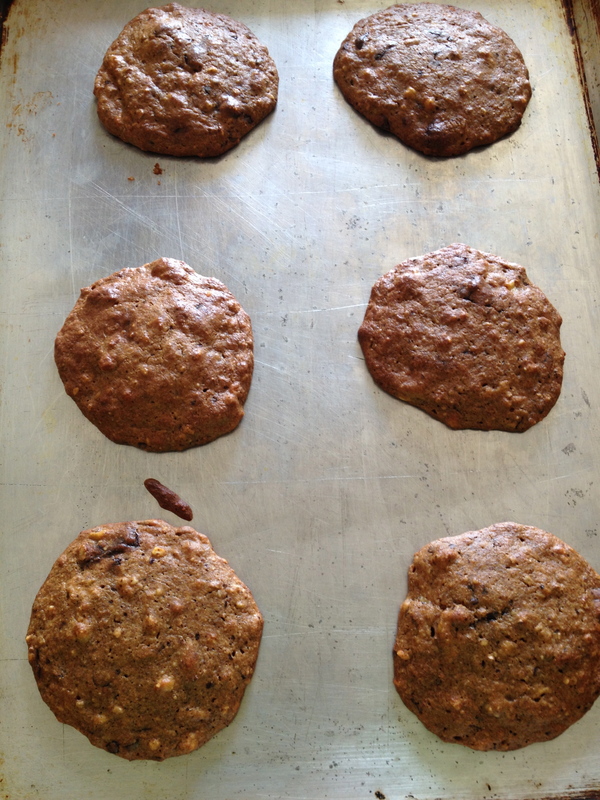 Using sheets of parchment paper, scoop the cookie mix on them and bake for 20 minutes or until sides are browning. These are extremely moist so don’t be fooled and cook them longer, they should be like that! Use a wire rack for cooling. Preheat the oven to 350. Lightly spray a baking pan and place aside. Cut the beets from the stems and place in a pot of boiling water with the red wine until the beets are soft. Usually around 20 minutes or so. Let the beets cool. Take your bananas and mash them in a large bowl. Add all the other ingredients, with the exception of the chips, and mix well. When the beets are cool, take the skin off using a paper towel and chop into small pieces. Add the beets to the bowl and mix. Fold in the chocolate and red chips and pour them into your baking dish. Bake for 35 minutes or until a toothpick comes out clean. You will love the flavor! I know I do! I’ve already had two! Preheat the oven to 350 and lightly spray your baking dish. Mash the bananas and add the honey, vanilla, spices, baking soda and almond butter. Mix well. Rinse the black beans and strain them and then add them to the bowl, with the egg, mixing again. Pour the mixture in your dish and bake for 40-45 minutes or until a toothpick comes out clean. Enjoy these low calorie, high-fiber treats! 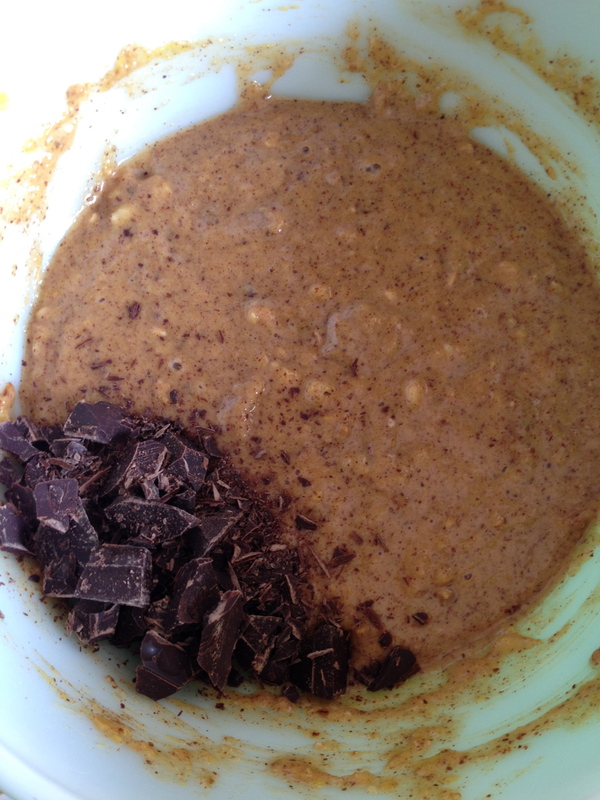 Add all of the other ingredients, except for the peanut butter chips, and mix well. Fold in the chips last. Place in a lightly greased baking dish for 40-45 minutes or until a toothpick comes out clean. Easy peesy! In your food processor, add all of the ingredients except for the pumpkin puree and coconut oil. Puree them together. In a pan, melt the coconut oil. Add the coconut oil and the pumpkin puree to the food processor with everything else and pulse again until the mixture thickens. Drop spoonfuls of the mixture on baking sheets lined with parchment paper to avoid burning. Bake for 15 minutes or until edges brown. Immediately after taking out, sprinkle some sugar on the top and place on wire racks to cool. Mix all the ingredients together and scoop 15 portions onto greased cookie sheets. I like non-stick coconut oil. Bake 12-15 minutes or until brown around edges. Preheat oven to 350. Lightly grease a 8×8 pan and set aside. 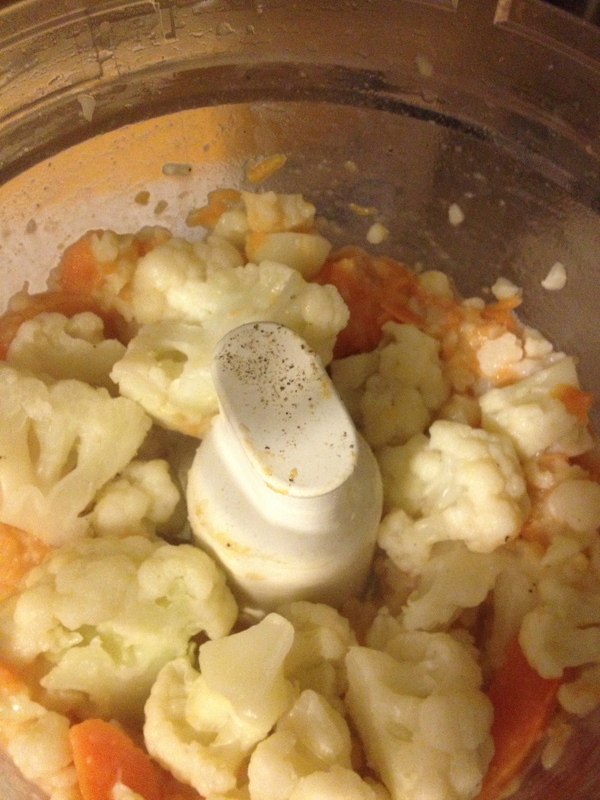 In your food processor, mix wet ingredients together. In a bowl, combine the dry ingredients throughly. Add the dry ingredients in with the wet ingredients and process again. Mix in butterscotch chips lastly and pour into pan. Bake for 20-25 minutes. Let cool and pack in foil for camping, trying not to eat them all at once! Bake on parchment paper for 7 to 8 minutes for chewy cookies or 9 to 10 minutes for crisp cookies. Cool on baking sheets for 2 minutes; remove to wire racks to cool completely. These lasted a whole 3 hours in my house! Preheat the oven to 350. Spray a 9×9 baking dish and set aside. Chop the zucchini and carrots up finely and combine all the ingredients in a large bowl. Add the chips last and bake for 35-40 minutes or until a toothpick comes up clean. Enjoy! Preheat oven to 375. Combine the pumpkin, egg, vanilla, brown sugar and apple butter together. ￼￼In a separate bowl, combine flour, powder, soda and spices. ￼Fold the flour mixture into the pumpkin mix. Add chia seeds and chocolate chips at the end. ￼Scoop spoonfuls onto an un-greased cookie sheet and bake for 15 minutes. ￼￼￼Let the cookies cool on a wire rack for 10 minutes and enjoy! In a bowl, mix together the applesauce, banana, (I used a potato masher) butter and honey. ￼Then add in the coco powder, vanilla and the egg. 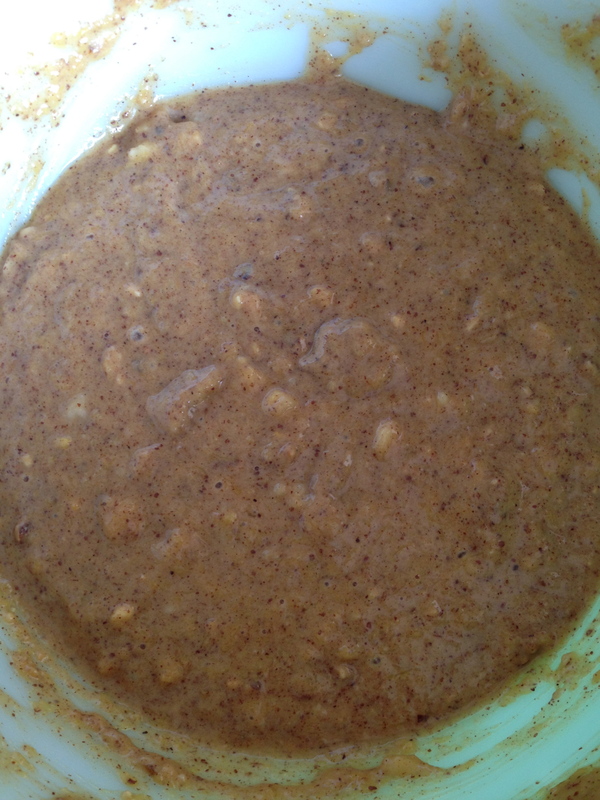 ￼Lastly add the salt, baking powder, nutmeg and walnuts and mix together. ￼Place in a 9×9 dish and bake for 35-40 minutes or until a toothpick comes out clean. Enjoy! 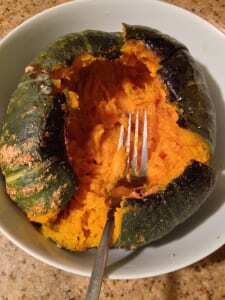 In a large bowl, mash and bananas and add the pumpkin puree. ￼Then add the spices, baking powder and oats and mix. ￼Add chips last. 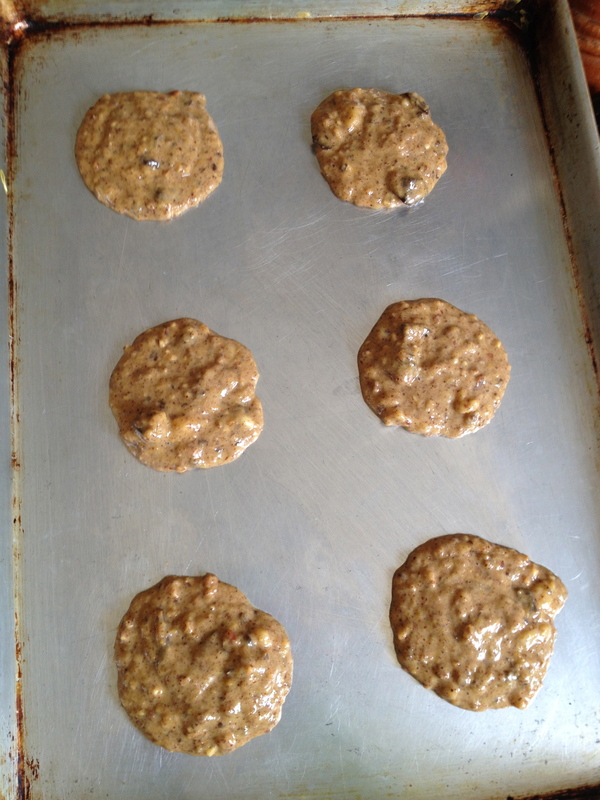 Use parchment paper or an un-greased cookie sheet and dollop spoonfuls of the cookie mixture onto the sheet. ￼Bake for 30 minutes. Use a wire rack to cool. Enjoy without the guilt! Preheat oven to 400 degrees. 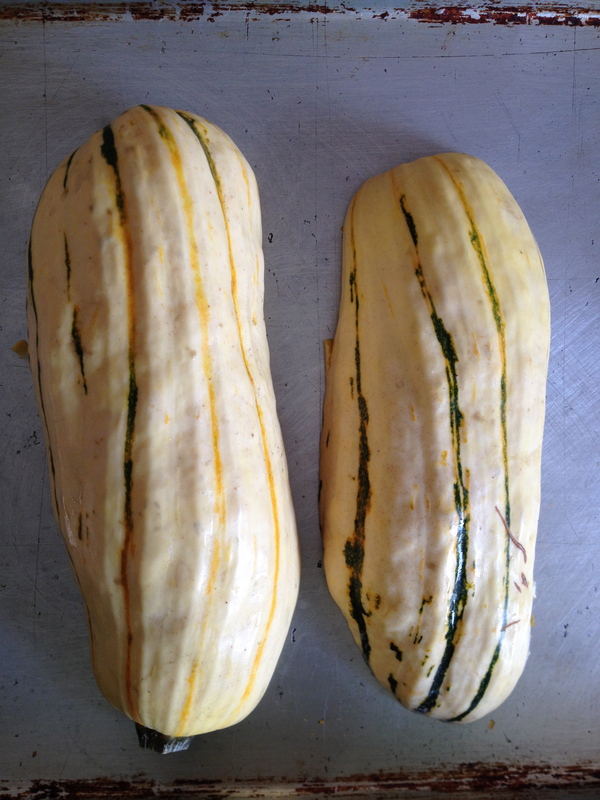 Cut the squash in three pieces, de-seed and sprinkle with olive oil, salt and pepper. Bake for 30 minutes or until soft, let cool. Scoop out the squash. Save your seeds!! ￼￼￼While the squash is cooking, use your food processor to blend the flour, coco powder, baking powder, salt and spices together. ￼Add the egg, coconut milk, vanilla, almond butter and squash. 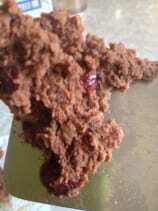 ￼￼Mix well and fold in the pecans, cherries and shredded coconut. Place in a 9×9 baking dish for 25-30 minutes or until a toothpick comes out clean. Enjoy! ￼Look how moist these are! 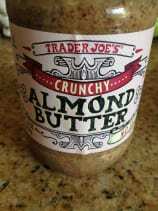 This is my favorite almond butter from Trader Joe’s! Preheat oven to 350 and lightly spray your baking dish. Chop up the squash and add everything, except the chips, to a large bowl. Mix everything together well, adding chips last. ￼￼Bake for 35-45 minutes or until a toothpick comes out clean. Enjoy! 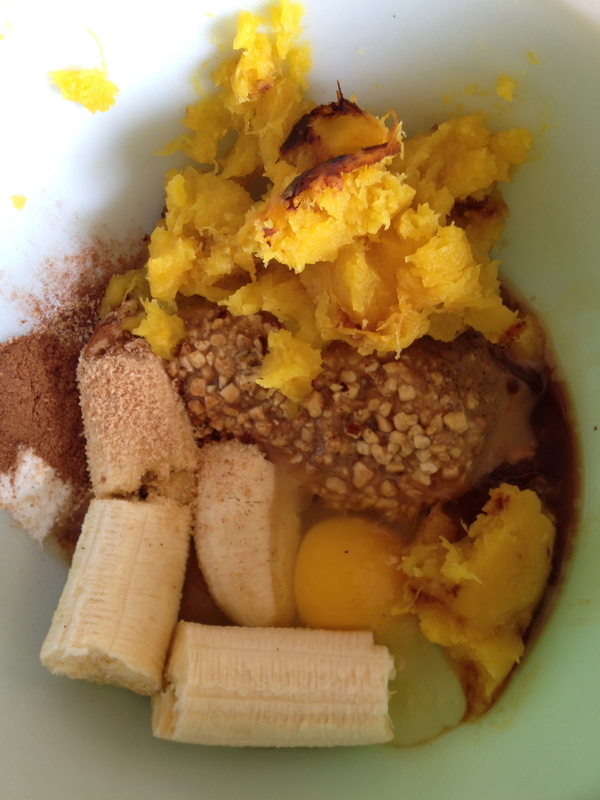 ￼￼Add the mashed bananas, almond butter, vanilla and salt into your food processor and pulse. ￼Then add the almond milk and pulse again. ￼Add the rolled oats and pulse again. Lastly, cut the apricots in quarters and fold then in, mixing with a spoon. 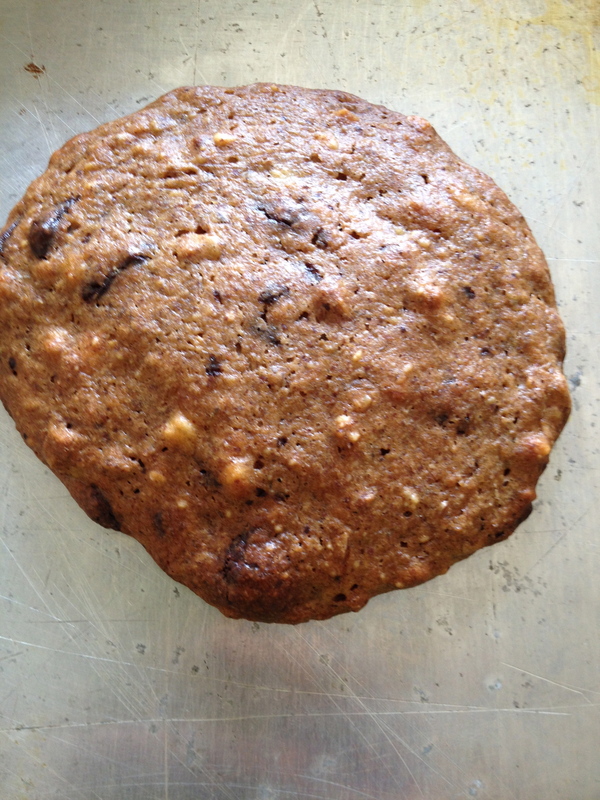 ￼￼￼Place parchment paper on cookie sheets and place big spoonfuls of the cookie dough on it. ￼￼Bake for 15-20 minutes or until edges are golden. Place on wire rack to cool, Enjoy without the guilt! 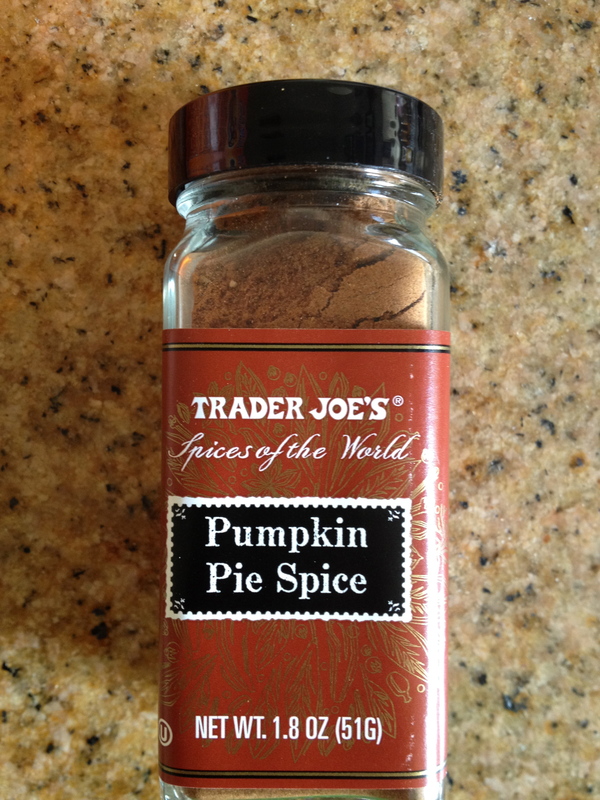 Trader Joe’s sells their spices for only $1.99! Deal! 1. Preheat the oven to 400. 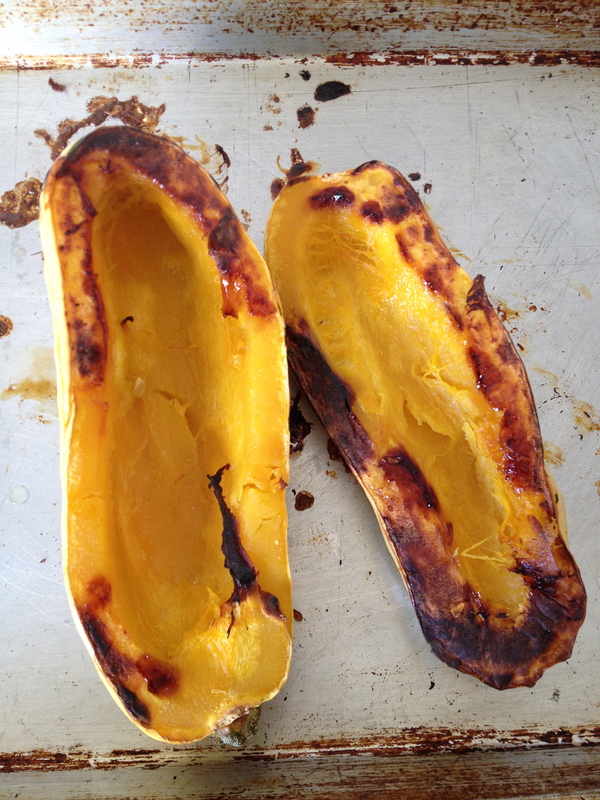 Cut the squash in half, deseed and place cut-side down on an un-greased baking sheet for 20 minutes or until soft. Let cool. 2. In a large bowl, add all of the ingredients except for the pecans and chocolate chips. 3. 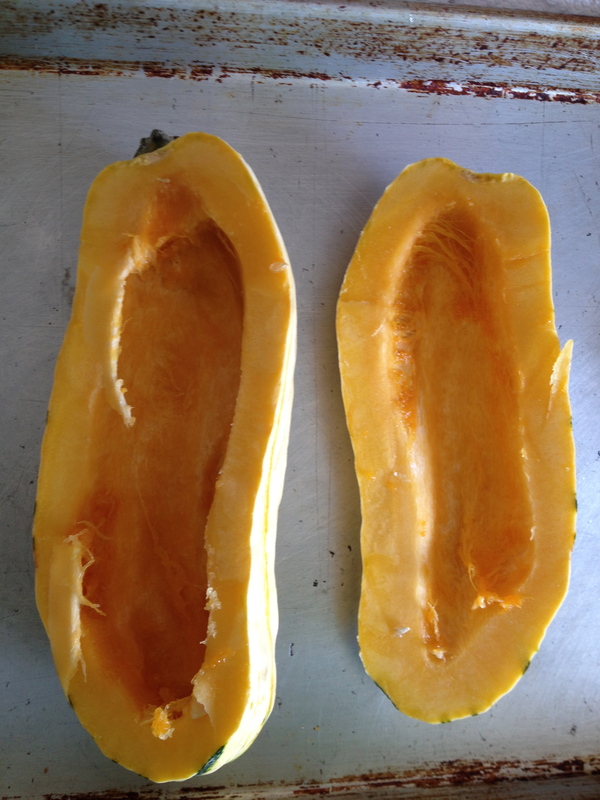 When the squash has cooled, scoop it out of its shell and add it to the bowl. Mix everything together. 4. Add the chips and mix. Add the pecans and mix again. 5. Place scoops of the mixture on un-greased cookie sheets. 6. Lower the oven temp to 350 and bake for 20 minutes or until golden brown on the edges! Enjoy without the guilt! Easy way to eat your veggies, huh? !